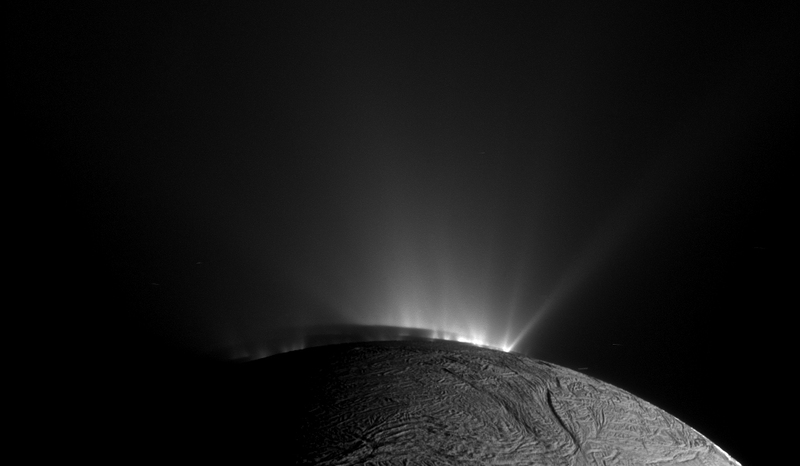 Explanation: Why does Enceladus have ice plumes? The discovery of jets spewing water vapour and ice was detected by the Saturn-orbiting Cassini spacecraft in 2005. The origin of the water feeding the jets, however, remained a topic of research. A leading hypothesis held that the source might originate from a deep underground sea, but another hypothesis indicated that it might just be ice melted off walls of deep rifts by the moon's tidal flexing and heating. Pictured above, the textured surface of Enceladus is visible in the foreground, while rows of plumes rise from ice fractures in the distance. These jets are made more visible by the Sun angle and the encroaching shadow of night. 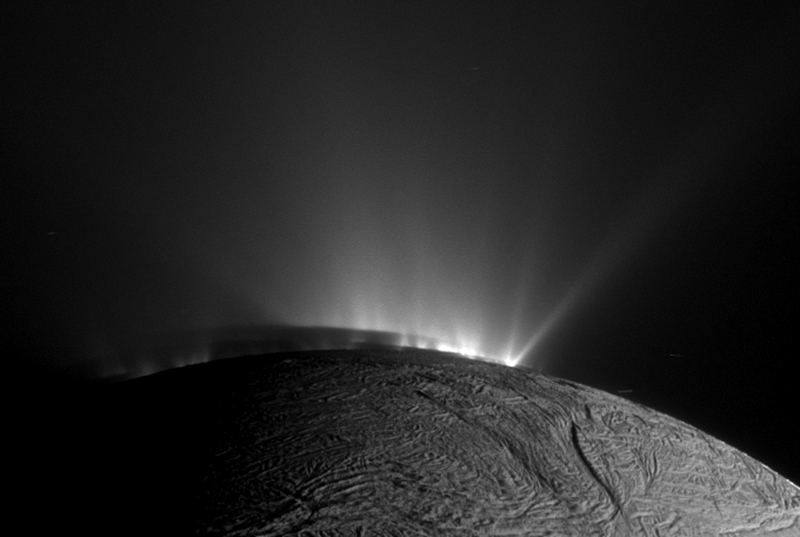 Recent study of over a hundred images like this -- of geysers crossing Enceladus' South Pole, together with regional heat maps, indicate that these plumes likely originate from a hidden sea, incresaing the chance that this frosty globe might be harbouring life.